The empath's guide: Can you be crying and be unphased? 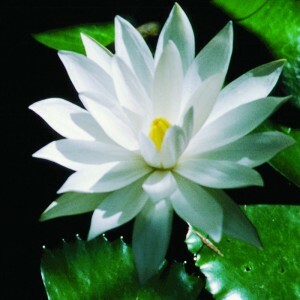 Does the White Lotus cry? Can you be crying and be unphased? Does the White Lotus cry? Can you listen to insults to your family, your god, your country and be unphased? Can you watch death and grieving and be unphased? I am unphased 91% of the time. Very few things pull me out of the equilibrium, where I need to recover so I can return to being well and unphased. All of them I self-created, none of them are real. I cry a lot. I feel people's grief, I feel centuries old sadness, I feel the pain of not being allowed to grow, or even to live. I am re-reading an book about the story of a family, the Levis, through 800 years of persecution. I first read it 35 years ago. I remember it pulled me right out of equilibrium then... I had a very little idea who I was, and the book added to it in an unsettling way: I decided that I was one of the 36 men who were bearing and absorbing all the suffering of the world. I felt proud, I felt justified, and I was sad. I cried myself to sleep night after night. I was self-righteously indignant. It was just before I took off for Israel. I also had the thought, in the back of my mind that the story of the Lamed Vov is a story the majority invented to not have to be responsible for their suffering. But I was pulled out of my equilibrium, to the direction my soul correction dictates: I am special. And into the direction my floor dictates: I am useful for something, you can't kill me now. At the time I only knew that I wasn't in balance. And for a drama queen like I was, that is normal. It took me decades to stop creating drama. Drama is a tool for those who have no self or not much of a self to have a sense of: I am still here... look at the turmoil I've created. You can get addicted to drama. You create it and you allow it to throw you around. You never have to face the fear that you are empty inside. Or that people only want you around for what you do. Or that they love you for something that is not real for you... so you feel like a fake. I am talking about you, and I am talking about most people. You can call this inauthentic living. Where everything that you do and everything that you say is trying to dress up the self, so it looks like something. You say: I am a California girl. I am a wife. I am a mother. I am this and I am that. or you say: I am a Jew. I belong to the thousands of years of heritage. or you say: I am Black. I am a descendants of slaves. I am discriminated against. I am this and I am that. All layers of clothing on the self... the self that is now not free to be. The real self is just a vessel, just a pipe: a conduit for Light. Some of my students are grappling with that emptiness: the culture says empty is bad. Hell yeah, the culture would say that. Because the culture only happy if you identify with it. Be a Christian, a Californian, a wife, a mother, be a vegetarian, be an investor in small inventions,... then we can talk to you, sway you, we'll know how you'll vote, what you will buy, because your affiliations that you identify yourself as. Self is the emptiness. Identity is the dressed up puppet, cut off from Consciousness, cut off from the Light. It's not easy. I still consider myself a Jew. I weep for "us", I root for "us", the world is still us and them for me. I am still mortified when I hear about a stupid Jew, a corrupt Jew, a Jew who considers to become a Jews for Jesus. I still, to some degree, consider it a personal attack on me... lol. The only evil there is is Desire to receive for the self alone... and when you consider yourself any of the affiliations, that, of course means that you'll want to receive for your kind, alone. I used to say "god doesn't play favorites". Of course there is no god, or at least not a god like you believe, actively intervening... or delivering wishes. But yet, the source of the light you receive does not play favorites. Light is energy and it showers... like the sun showers light. If you have a filled up vessel, you'll get mighty little light. If you filled up the emptiness with titles and adjectives, you are not a channel any more... you can only have desire to receive for the self alone. You don't deserve, and you don't not deserve. You receive or not receive. But many of them held onto the status quo, for example: I am a good woman... That fills the channel, and plugs it up. All behaviors, or sentiments, all attitudes come from that filling... and the opposite of it (the lie) and nothing comes from Consciousness. But, interestingly, the slightest effort to remove the filling creates momentary miracles: money coming in, compliments, a promotion, a moment of enjoyment into the otherwise desert-like existence. Of course, left to your own devices, you'll fill up the channel again, and the light infusion stops. You have no longer the vessel to receive. And ultimately the reason to participate in this work, energy assisted spiritual transformation, diligently, always looking at things from a different angle, so we can get more and more light, because we clear more and more of the channel. You stop, and the channel fills up. I will work with a few people on a different angle: on the original lie: the birth of your identity, in addition to the workshop, "what is missing?" To be accepted into the original lie workshops, there are prerequisites. Removal of attachments, including the dominant belief's therefore and the anchor to doom. And a demonstrated willingness to do the work. Ongoingly, not just a campaign here and there, when it hurts too much. I go to the chiropractor every week, and I have been for the past 29 years. I go whether it hurts or not. Result: I am ill less and less of the time. I used to get colds, headaches, allergies, all the time. I haven't had a cold in six or seven years. I haven't had any allergies... it seems forever. And I got a headache twice in the past year. I used to have them all the time. Chiropractic is maintaining my body, energetically. This work is maintaining and growing my spiritual self, not only when it hurts, not only when something is lacking, but day in and day out. Working with you in coaching or on webinars, writing articles, talking to my friend every Sunday is how I do it. When there is a vacuum over the holidays, it is a struggle to stay up... because there is no echo. Somehow it is echo that keeps me straight. So you can be unphased. Like the White Lotus. Can’t feel anything, anger, joy, love, peace? Can’t feel that you are connected? What can you do about it? Previous Previous post: How many pieces of information can you play with in your brain? Do you have a keyhole view of the world? How many pieces of information can you play with in your brain? Do you have a keyhole view of the world?